Wreaths are not just for Christmas. 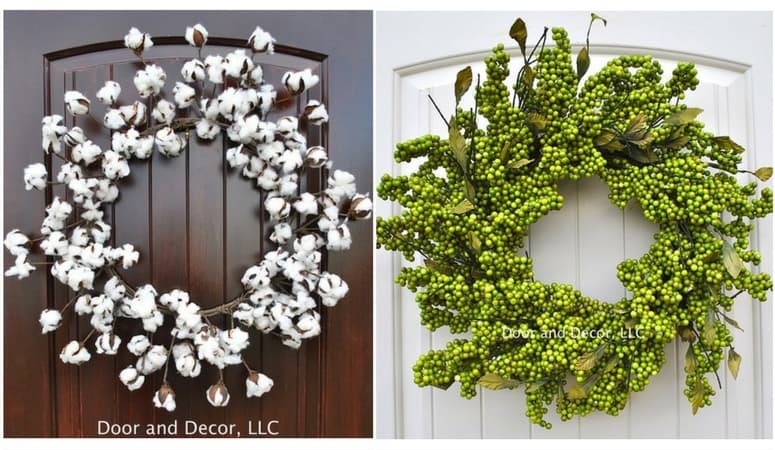 You can add wreaths to your decor any time of the year. 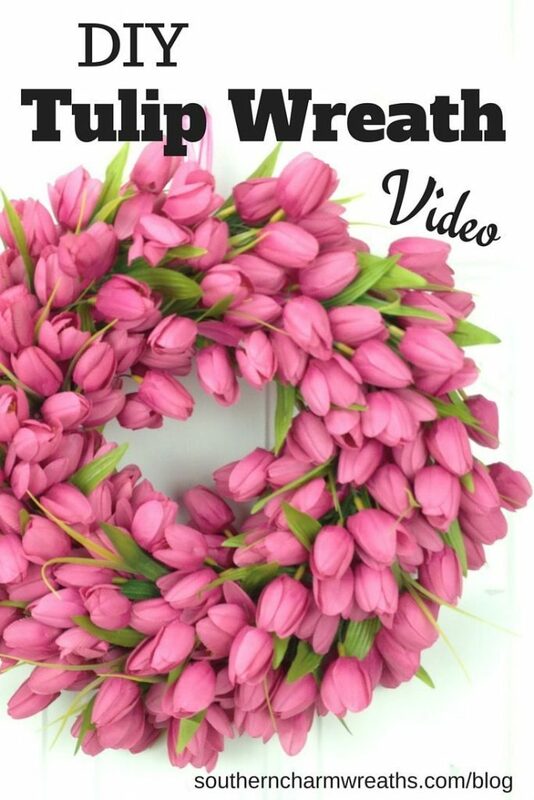 Spring is a wonderful time to create a wreath because there are so many options for colors. Wreaths look especially beautiful with some gorgeous spring blooms. 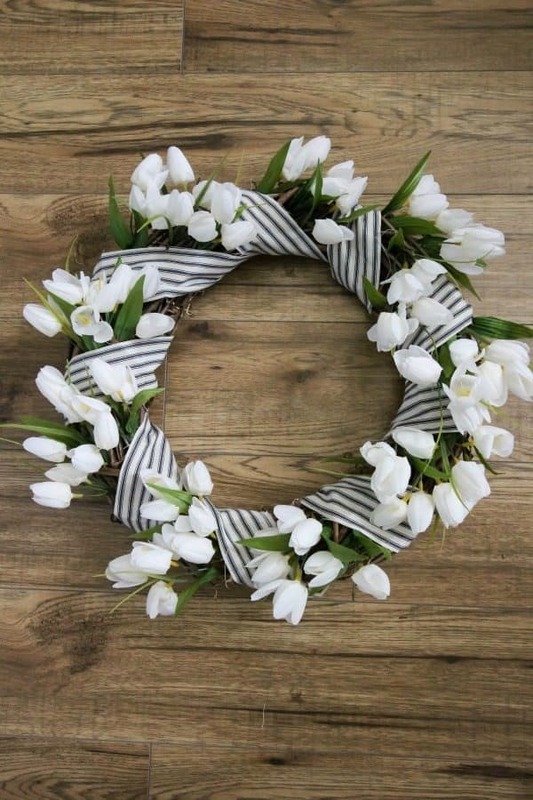 Here are some of our favorite DIY spring wreaths for you to try at home! Hello again! 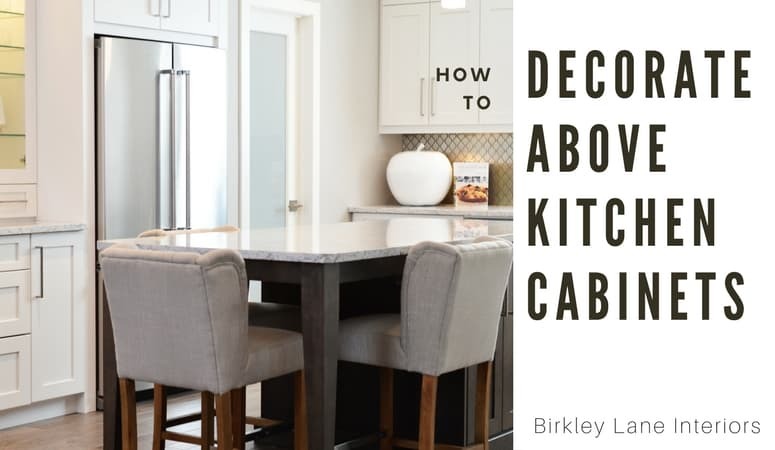 It’s Nicole from Birkley Lane Interiors where I help women solve their decorating problems. I’m so happy to be back here at The Weathered Fox! I love sharing easy crafts and decorating ideas with you and today is no different! 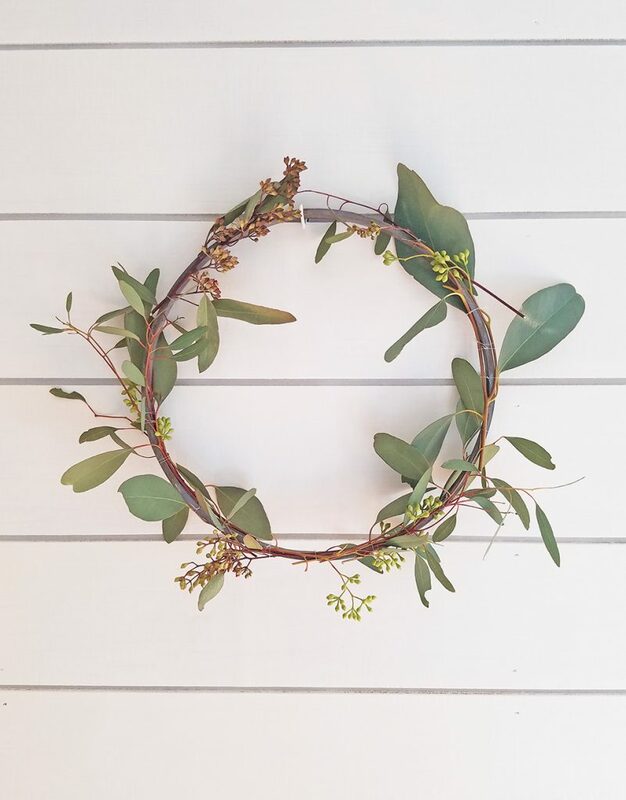 Today I’ve gathered some gorgeous farmhouse style DIY Spring wreath ideas that will brighten up your home just in time for the season! Where Should I Put a Wreath? I love Spring, when everything feels and smells so fresh! I love to bring that feeling inside my home with my decor and wreaths are one of my favorite accent pieces! I’m still loooooving my DIY Pom Pom wreath! And wreaths don’t just have to stay on the front door. Use them in your home! 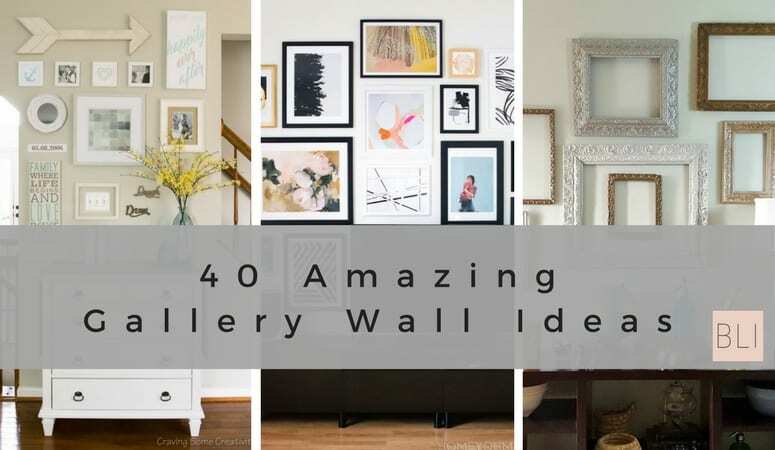 They would go great in a gallery wall, or in a bedroom, like in one of these beautiful farmhouse style bedrooms I recently shared with you! 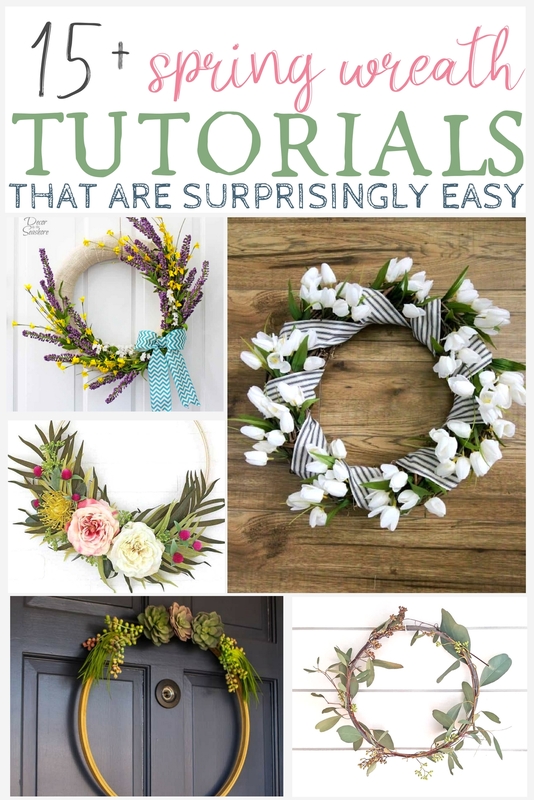 Plus, wreaths are an easy DIY Spring craft you can do quick! 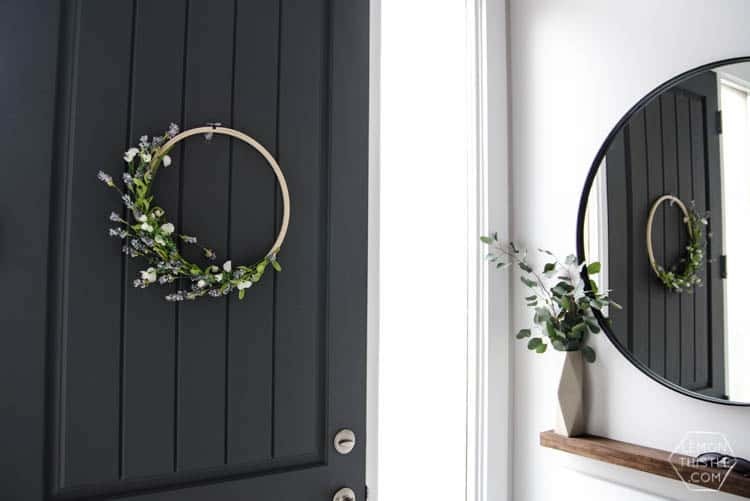 I love this simple wreath from The Honeycomb Home! The greenery speaks for itself and is the perfect Spring accent! I love the bright colors in this cute wreath from Blooming Homestead! 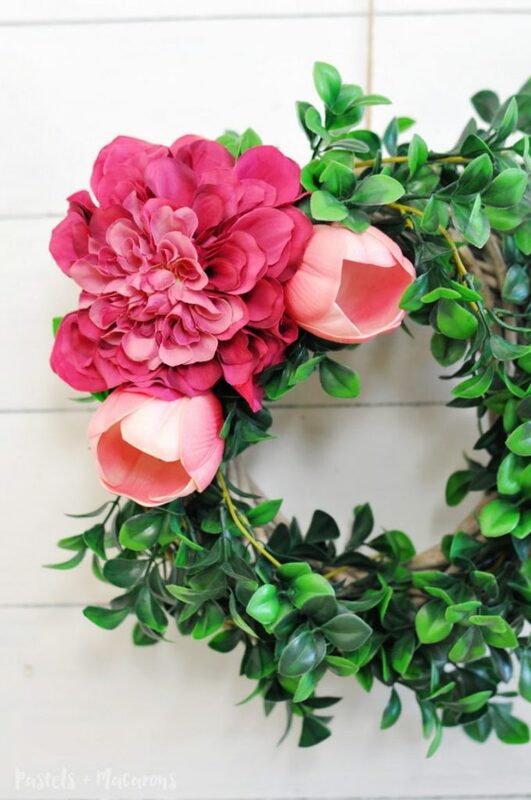 Love the green boxwood with the vibrant pink in this DIY Spring wreath from Pastels and Macarons! 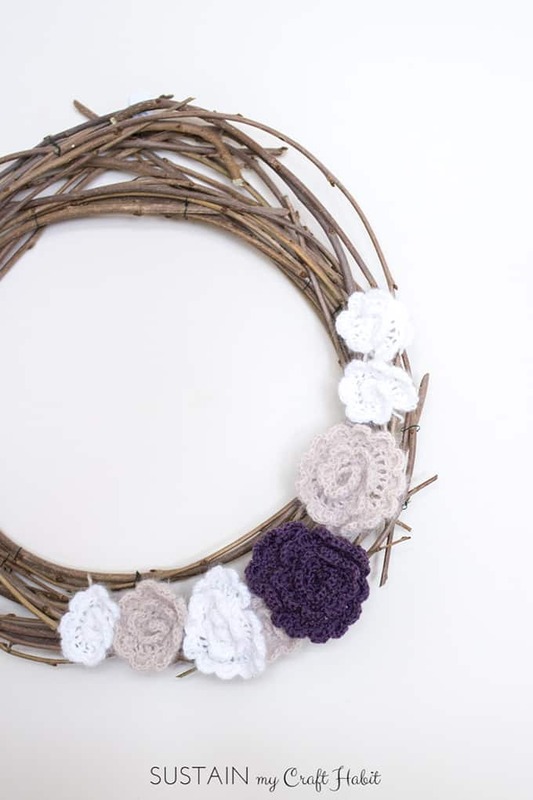 I’ve been wanting to do a hoop wreath and this one from Wife in Progress Blog would be a beautiful one to try! Love the texture and interest in this DIY Spring wreath by Decor By the Seashore. Nothing says Spring like tulips!! 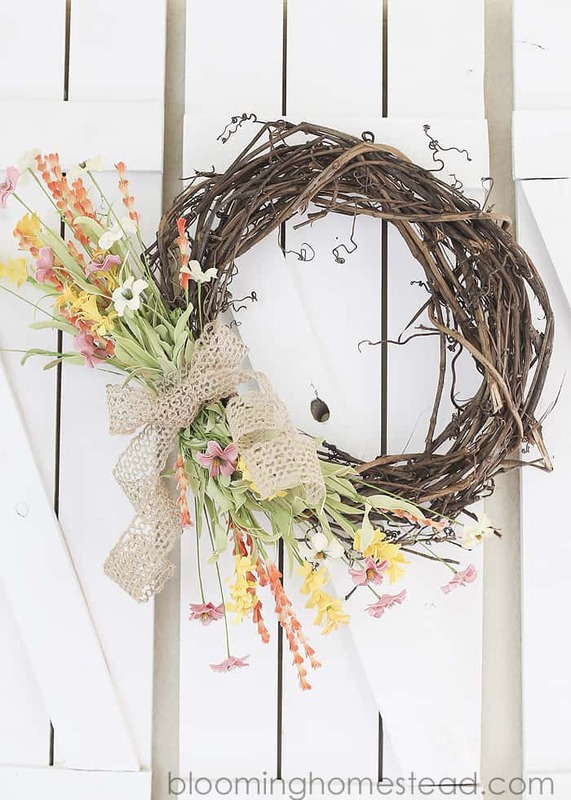 This is the perfect Spring wreath from Southern Charm Wreaths! I love this wreath from The DIY Mommy! I have thing for using our family initials in my decor…! 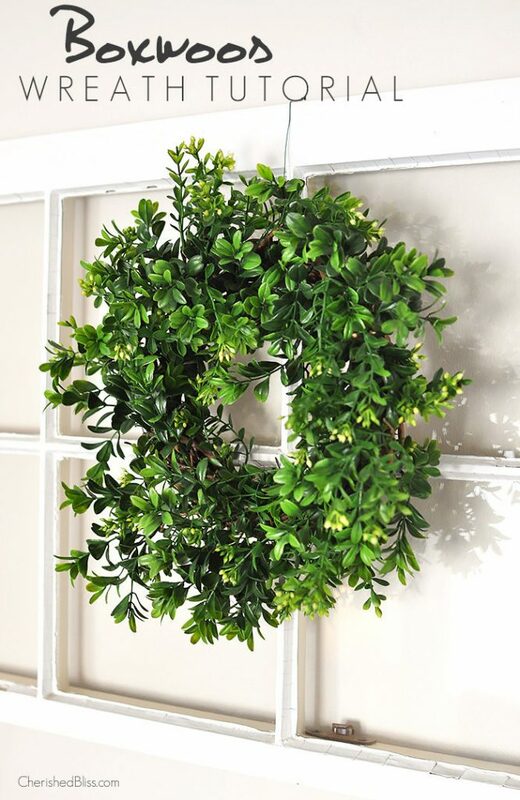 There is just something about Boxwood wreaths that is just so beautfiul! It’s the perfect farmhouse accent. Love this one from Cherished Bliss! 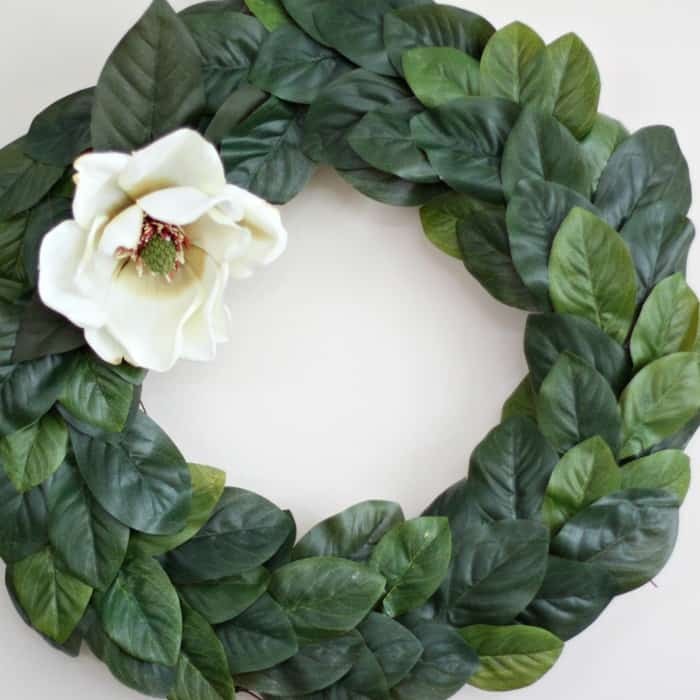 Speaking of the perfect farmhouse accent, we can’t forget the Magnolia wreath! 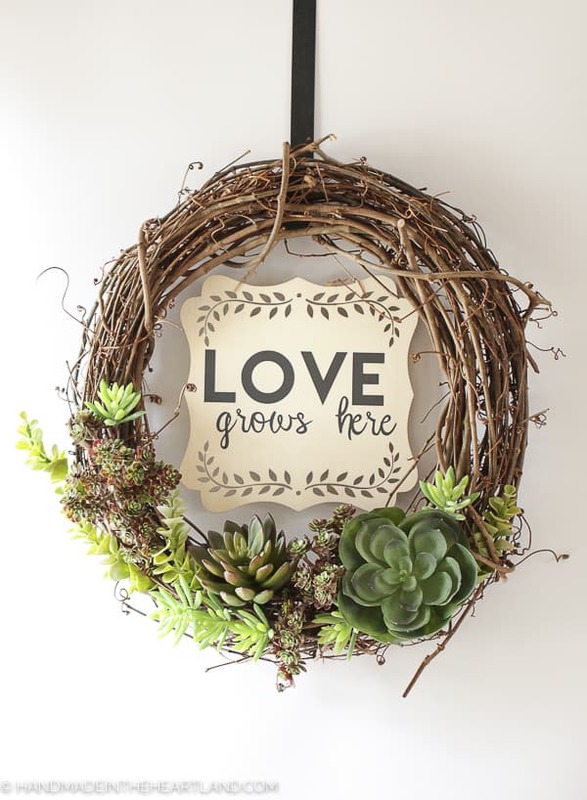 Love this DIY Spring wreath from Love of Home! 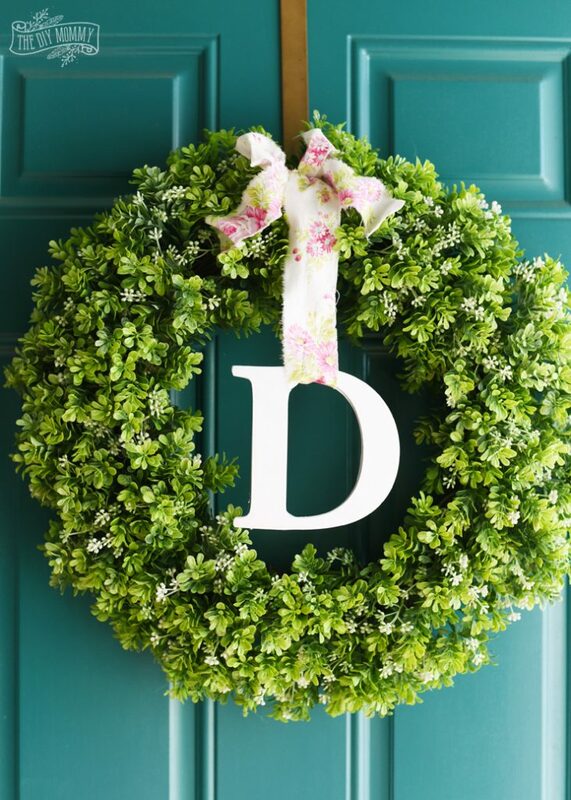 What a fun wreath idea for your front door! Love this idea from Liz Marie Blog! Cute idea from Sustain My Craft Habit for all your crochet lovers out there! 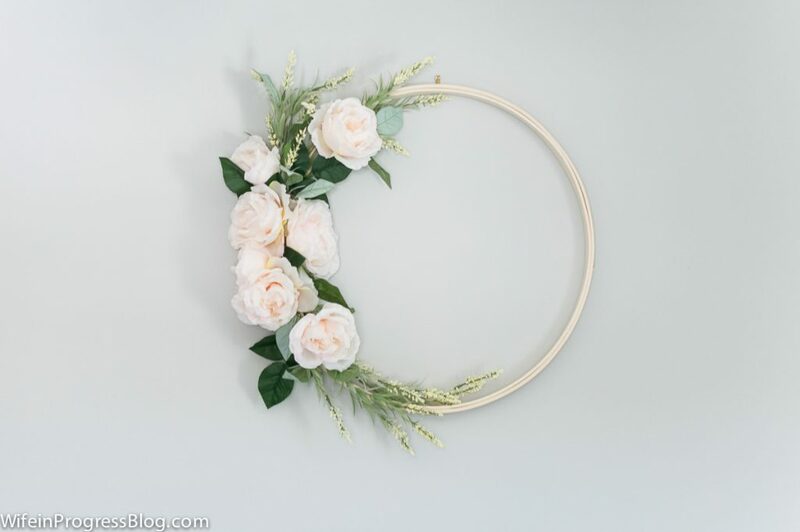 Love this simple, beautiful wreath! Love this idea from Lovely Etc. to use succulents on a hoop wreath! I have a weakness for all things stripe! 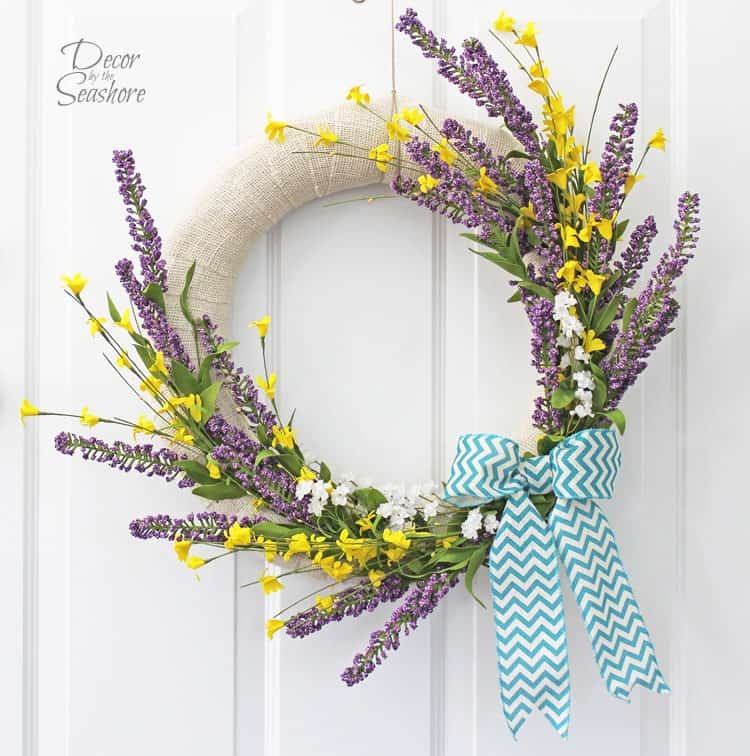 This would be a beautiful DIY Spring wreath for your front door from Creek Line House! 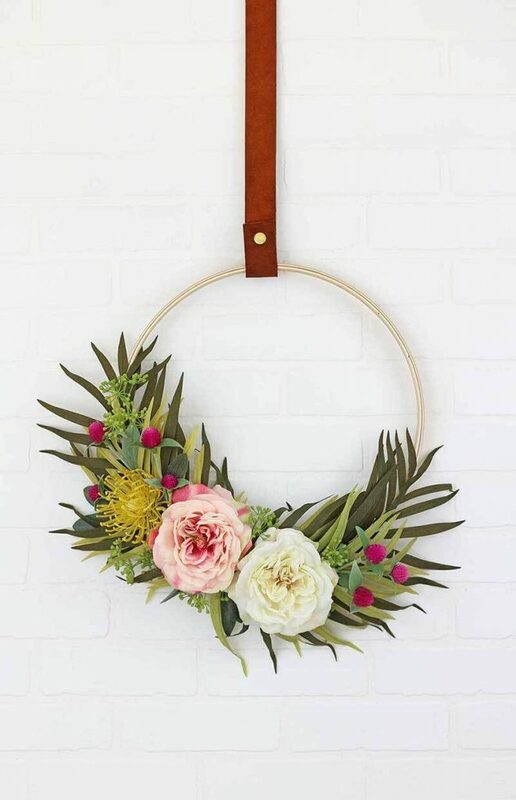 Love the bold, modern look of this hoop wreath from Persia Lou! And what a gorgeous way to hang it! Keep your eyes open at your local dollar store and you could create a beautiful DIY Spring wreath like this one from Little Red Window! I love how Hand Made in the Heartland used a beautiful quote in her Spring wreath! 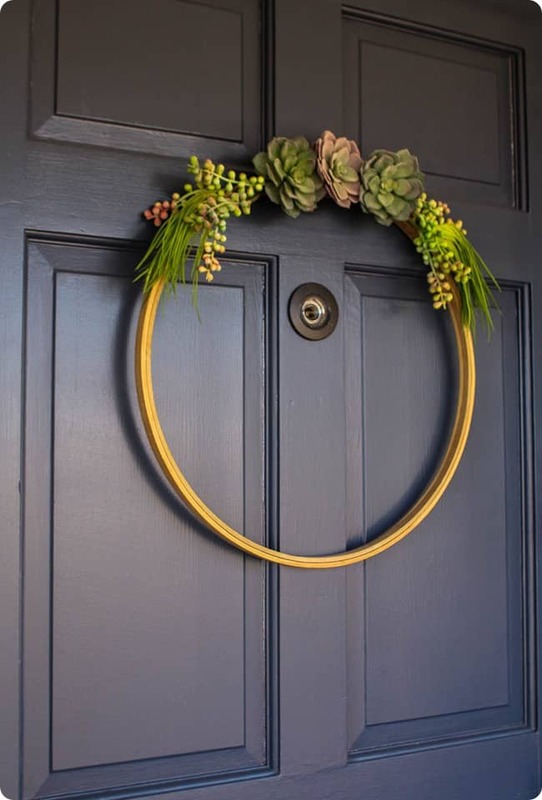 Lemon Thistle created a gorgeous, simple hoop wreath that would easily freshen up any space! Are you in the mood to get moving on some DIY Spring crafts?? I know I am! 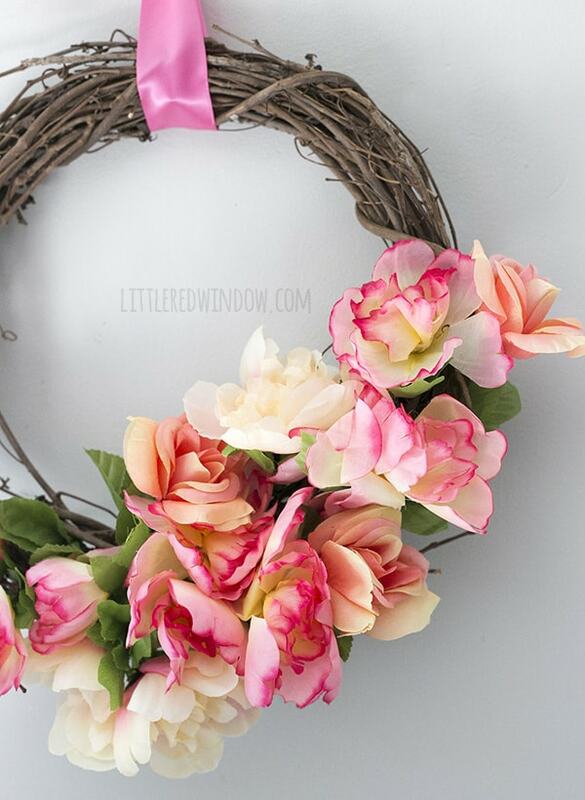 There are so many favorite DIY Spring wreaths to choose from, I don’t know what I’m going to do! I hope you’ve been inspired to bring a little bit of Spring into your home, whether its on your front door or somewhere in your house! 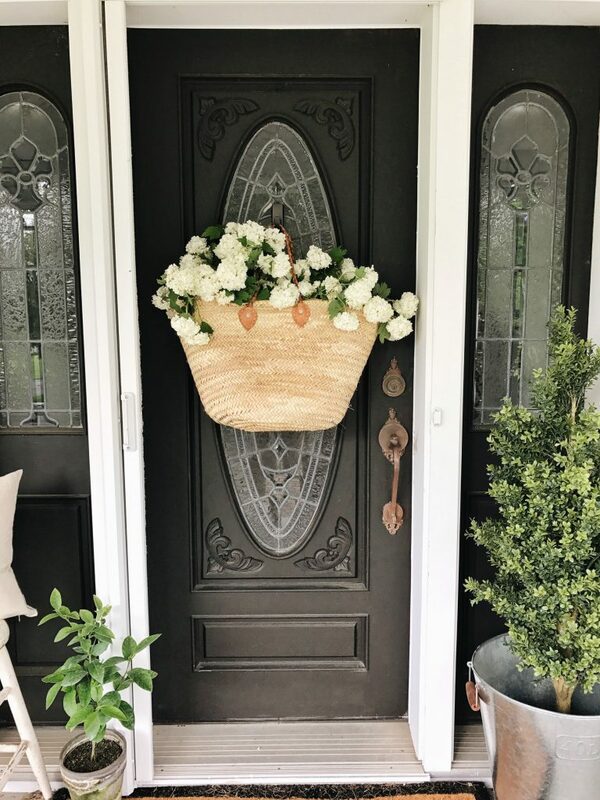 If you’d like even more fun and easy ideas for your home, then be sure to check out my posts on 9 Wreaths to Brighten Up Your Front Door, 10 Ways to Decorate Above Your Kitchen Cabinets and 40 Gallery Wall Ideas You’ll Love!